Serve soup for friends, top it with a smile and raise money to help homeless young people. By hosting a Big Broth soup party for friends, family or work colleagues you can raise money for Centrepoint – a fantastic charity providing young homeless people with accommodation, health support and life skills. This is the perfect recipe – simply adjust the quantities to make your own pot of soup. 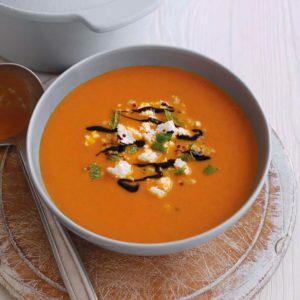 A comforting, classic soup taken from the Dairy Diary 2019 and a real crowd-pleaser. 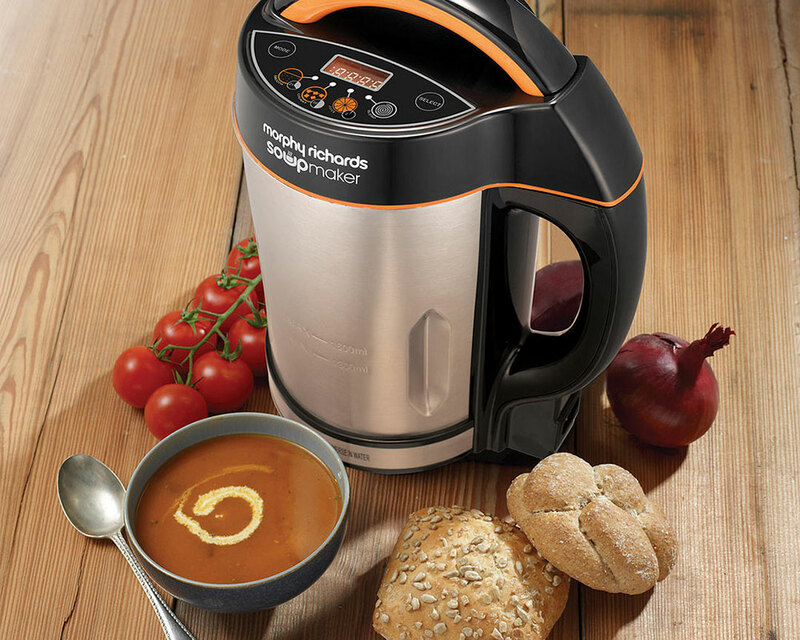 Dairy Diary is giving you the chance to win this fantastic soup machine. Much-loved in our office, this souper (sorry!) machine makes delicious soup in just a few minutes. Add chopped veg and stock, push the button, and in a few minutes – perfect soup. You can choose chunky or smooth settings so that the soup is made to your desired consistency. And you can pop it in dishwasher too!